The second batch of 10 Russian Sukhoi Su-35 multipurpose fighter jets will be delivered to China this year with a further 10 aircraft in 2018, TASS reported on Thursday, citing its sources. "The first four planes were supplied late last year and the second batch of 10 jets will be delivered to the customer this year," said an unnamed source familiar with the matter. In November, Deputy Director of the Federal Service for Military and Technical Cooperation Vladimir Drozhzhov told TASS that Moscow had started deliveries of the fighter jets to China. The contract for 24 Su-35s was inked in November 2015, making China the first international buyer of the advanced Russian warplane. The three-year deal for the aircraft, ground equipment, and spare engines is valued at $2 billion. The Su-35 is a long-range '4++ generation' super-maneuverable fighter jet. It is armed with an internal 30mm cannon and has 12 hardpoints with a combined capacity of 8,000 kg, compatible with a wide range of unguided and guided missiles and bombs. Its maximum speed is 2,500 km/h, with a range of 3,400 km, and a combat radius of around 1,600 km. 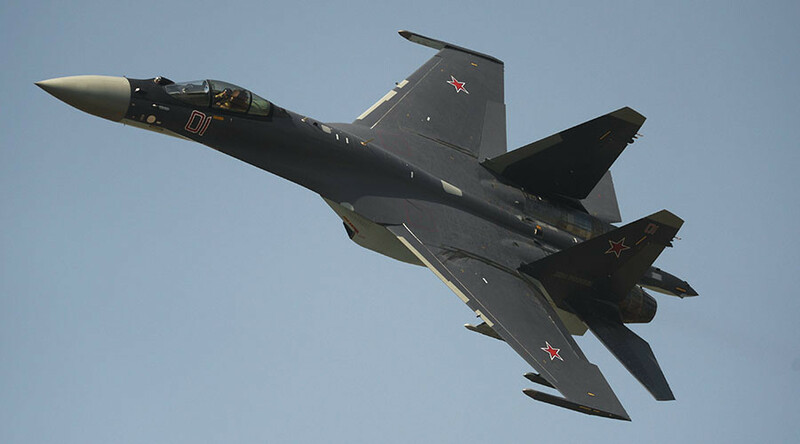 Beijing first showed an interest in buying Su-35s in 2008 during the Airshow China international expo. Formal negotiations started in 2011. China is currently among the world’s top five buyers of Russian arms, restoring its position after a slowdown in the late 2000s. The country buys advanced Russian jet engines, submarines, and surface-to-air missiles, among other high-tech military items. According to the Russian Defense Minister Sergey Shoigu, cooperation between the two countries “is at an all-time high” and “continues to steadily expand each year,” particularly in the economic sphere. Trade between China and Russia was about $68 billion in 2015. Projects for the next three years are estimated at $200 billion. In November, Russia announced the delivery of the S-400 missile systems to China by 2020, making it the first country authorized to buy the advanced air defense weapon. The deal is reportedly worth $3 billion.